Nancy Pelosi, the second most corrupt woman in Washington behind Hillary but in front of Debbie Wasserman Schultz, was in Colorado this week lending her name to fundraising efforts for fellow Democrats Morgan Carroll and Gail Schwartz. This is the same Democratic leader who demanded a private jet when she was the Speaker of the House while ranting about global warming. The same congresswoman who personally enriched herself by steering taxpayer dollars into her husband’s pockets, and who used insider information to earn hefty returns on stock offerings. 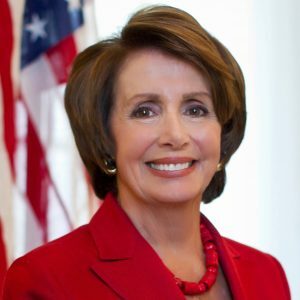 Pelosi makes Hillary look like an amateur when it comes to violating the public trust, so it’s no wonder the Colorado candidates tried to keep the appearance hush-hush while Mike Coffman was more then happy to publicize that House Speaker Paul Ryan was also here to raise money for him. Carroll’s campaign pounced on Ryan’s private visit, but initially made no reference to Pelosi’s aid. No one from the Schwartz camp, which is trying to unseat U.S. Rep. Scott Tipton, had anything to say about Pelosi’s fundraising efforts for her, including any acknowledgement Pelosi was here.